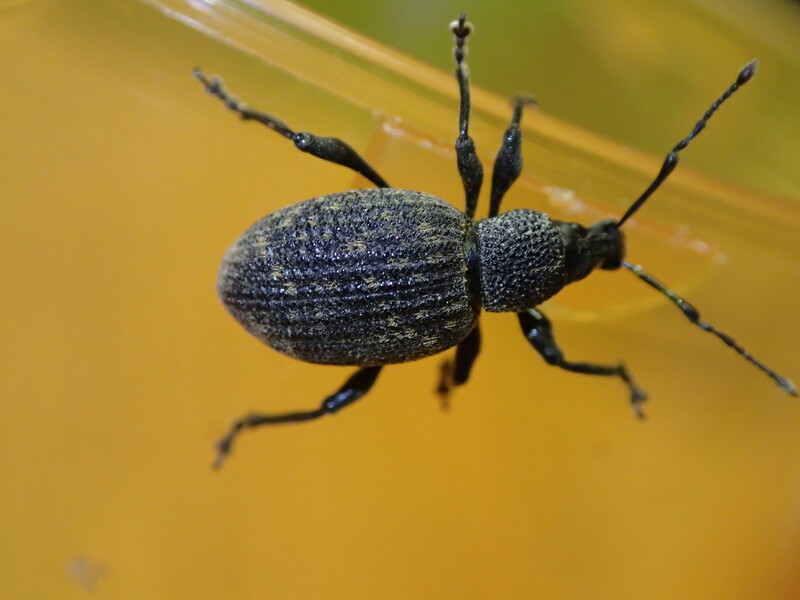 Pest description and damage Identification is important: the various root weevil species differ in susceptibility to pesticides and have different life cycles. Adult weevils are small dark nocturnal beetles with a snout (rostrum) and elbowed antennae. The C-shaped, legless larvae are white or slightly reddish with tan heads, up to 0.5 inch in size. Check base of shrubs for girdling by larvae resulting in unthrifty appearance or death of the plant.